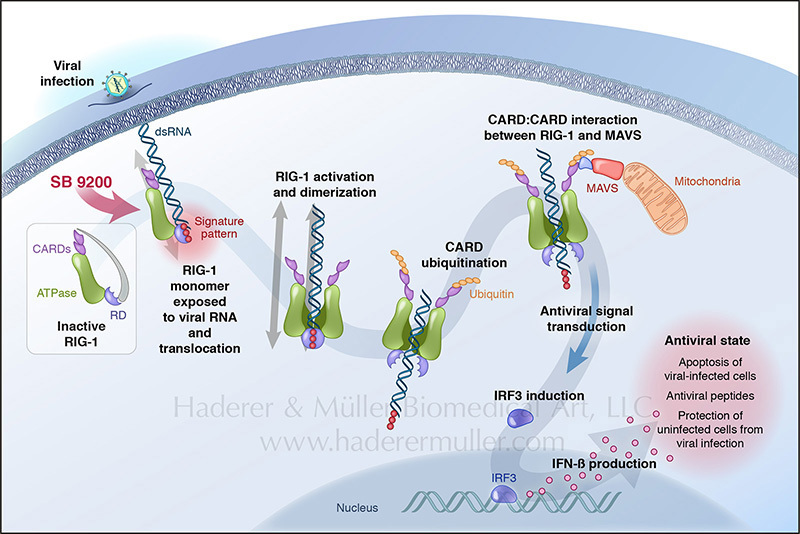 These mechanism of action (MOA) illustrations demonstrate the point in the process when antiviral drug SB 9200 (for hepatitis C) acts on the pathway to activate RIG-1 and NOD2, the proteins involved in detecting viral RNA once it has entered a cell. 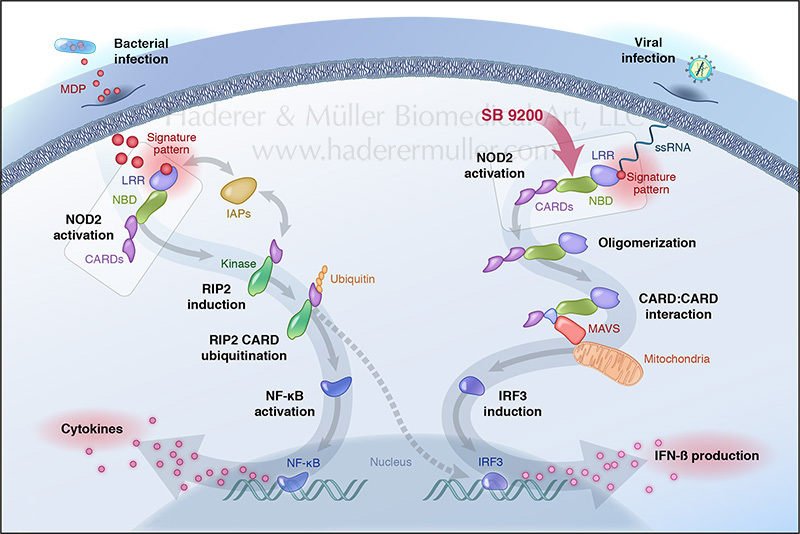 The subsequent cascade results in the up-regulation of the host immune response to the infection. The illustrations were designed for presentation by the sales team and for use on their outward-facing website, so the story is presented broadly and details about exact interactions and configurations have been left out.